Spain, on Europe’s Iberian Peninsula, is really 17 autonomous regions, each with its own geography and culture. 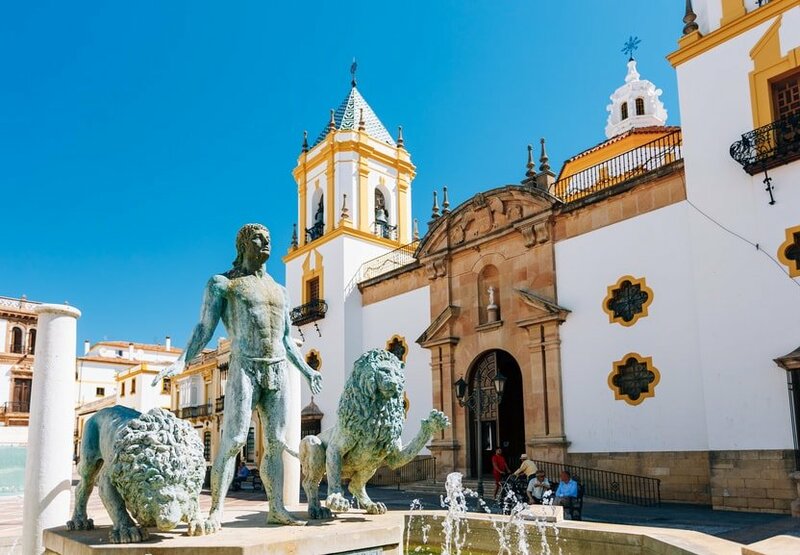 The capital, Madrid, is home to the Royal Palace and singular Prado museum, housing works by European masters, and Segovia to the north has a fairy-tale medieval castle and Roman aqueduct. Catalonia’s capital, Barcelona, is defined by Antoni Gaudí’s quirky modernist architecture, including the Sagrada Família basilica. 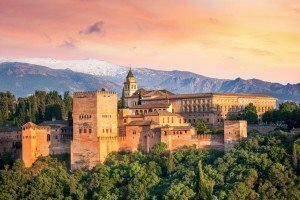 12 DAYS ANDALUCIA SMALL GROUP TOUR: "ANDALUCIA DELIGHTS"
Just completed the amazing Sardinia and Corsica tour with Secret Italia. Many many thanks to Aldo for this wonderful experience and his endless energy and cheerfulness to make this trip go off without any problems. The sites, accommodations, restaurants, size of the group and pace was top notch – way surpassed my expectation. He made sure all of the details were to your satisfaction. Thanks also to Ricardo for guiding us and Stefano for driving us around Sardinia. And to Sandy for driving us to our destinations in Sardinia.I highly recommend this tour with Secret Italia. It’s well worth it. Aldo—My wife, Leslie, and I just returned from our 12-day tour with your company. We had the very best time!!! Thank you so much for organizing such a terrific trip. Every “piece of the puzzle” was top notch—hotels, food, tours, bus ride, airport transfers, etc. We will definitely be joining you again for another European tour as will some of our friends whom we communicated with along the way. Piero,our tour guide was excellent…and a very nice human being as well. Ciao for now and keep up the good work! Dear Aldo,Sorry for the delay, but we did want to let you know what a wonderful time we had on the Sicily tour last month.The itinerary was terrific – both inclusive and varied. By the end, we felt we had explored so many places, and had so many experiences that we would never been able to find on our own. The activity level for the tour was perfectly paced, with a great balance of planned activities and free time. The group lunches and dinners were all well done and delicious. Rosaria was fabulous. She was knowledgeable, well organized, warm, friendly, and concerned that each of us have the best possible experience. She gave us some great advice and watched over our food carefully to make sure that Roberta was not served anything she is allergic to. She coped expertly with unexpected problems, such as a food festival that caused an unexpected traffic and parking problem. Her pride in being from Sicily, and her joy in sharing its wonders and secrets with us was infectious, and made the whole trip special.We also appreciated how well you and Katrin run the company, both in your planning and in your correspondence with us before the tour. All in all, it was a great trip and we would definitely recommend your tour to anyone planning a trip to Sicily. I did want to take the opportunity to tell you how much Andrew and I enjoyed our May trip to Sicily. We loved the itinerary, the pace, the sights…but most of all, the trip was made special by our fabulous guide Rosaria. She is truly a gem, Aldo (but we’re guessing you already know that)…so knowledgeable, personable, and enthusiastic.She communicated her special feeling for Sicily and shared so many personal experiences and viewpoints. She was also very patient and did a fine job of bringing the group together in creative ways.